Alex Latham is hiding – from what, he doesn’t understand. Why – he doesn’t know. The streets are empty, but still dangerous and time seems to be running out, for him and for the Ark. 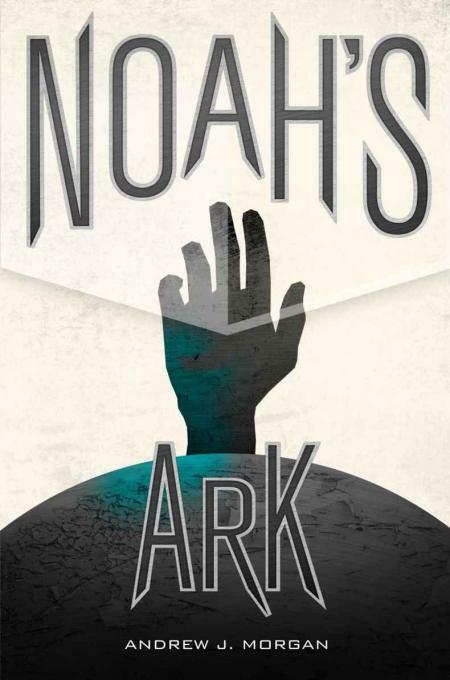 The world of Noah’s Ark is a multi-layered one, but it takes a while for the author to start peeling the onion. The reader is presented with an environment as familiar as the suburbs but with an eerie stillness, where one man tries to make sense of the empty houses, gangs of strangely vacant marauders and a menacing military presence. I liked how the author let me inhabit the space without really understanding its significance. I knew that a revelation was coming, and when it did, I was introduced to the Ark. I think it’s probably unreasonable to delve too deeply into the details of the plot in this review, as part of the enjoyment is to experience the unveiling, but I can discuss how effective it was for me. I found the storyline to be clever and an interesting blend of a few science fiction sub-genres. It may not be totally original, but I think the author provided it with enough individuality for it to stand on its own. The mood of the first part of the story was both uneasy and confused which I thought put the reader in the perfect state to enjoy the story – off-balance. As the pieces start to fall into place, the revelations lead to more questions. The uneasiness makes way for an adrenalin rush once the two main characters meet, and from there it’s a non-stop thrill ride. The story closes with a scene worthy of rendering on the big screen and a twist reminiscent of one of my favourites (I won’t name it here). So with all of that good stuff, were there any issues? Well, yes. Because this story played out through two separate points of view, there was some necessary back and forth, at least until their paths converged. The combination of very short chapters and an almost religious swapping of points of view every chapter made the progress particularly frustrating in the early part of the book. I felt like I wasn’t getting enough time with each character, which ended up not only making the characters feel less developed to me (rightly or wrongly), but the pace also felt a bit stop/start as a consequence. There are two main characters: Alex, who prowls a relatively deserted suburban wasteland and Michael, a patient or subject in an undisclosed facility. Because of the nature of the story, the reader doesn’t really become intimately knowledgeable of either character. However, we experience what they experience and we witness the Ark through either or both pairs of eyes. I didn’t really have a problem with this approach as I thought the plot was paramount in this novel, with the characters being disposable assets. I wasn’t unsympathetic towards either, but I was quite happy with any eventuality that provided me with a interesting story. Potentially, the novel itself might have had a greater impact if a stronger connection was established with one or both of the characters, but the missed opportunity wasn’t heckling from the sidelines in my reading. Perhaps others felt differently. Other than some early pacing issues that I’ve already referred to in this review, there really wasn’t much to complain about with the writing in this novel. It was clear, seemed to generate the right atmosphere and was relatively error free. In the end, I was left with a very entertaining sci-fi post-apocalyptic thriller, with a touch of cyberpunk and a dose of zombies (of all things), conspiracy on a grand scale and a partridge in a pear tree. It’s a movie I would want to go and see at the cinema. Interestingly, the author has started work on a second (unrelated) novel which he is posting in instalments on his website. So look him up and have a bit of a read. Regardless, you could do a lot worse than lining up Noah’s Ark on your e-reader of choice. I certainly have no regrets. This entry was posted in 4, Novel, Reviews, Science Fiction and tagged Cyberpunk, Post-apocalyptic, Science Fiction, Thriller. Bookmark the permalink. Interesting. I agree that dual POV is difficult. I get very frustrated when I am enjoying a character and am dragged away. Perhaps bundling two scenes for each would have worked better? Having not read it, I can’t say, of course. But I do know I have to fall in love with at least one character to keep reading past POV shifts, and these days it doesn’t happen very often for me. I’m a very impatient reader.